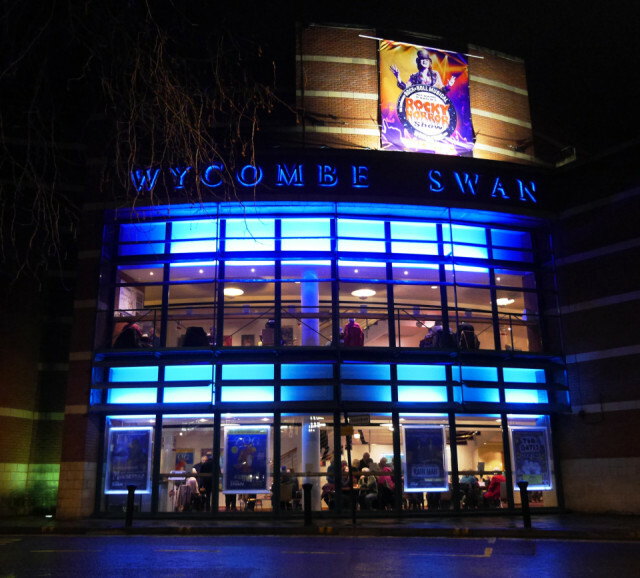 Mr T drove us to the Wycombe Swan Theatre last night to see the Mousetrap. Which is famous around the world for being the longest running show of any kind in the history of British theatre - with over 25,000 performances. We met our friends Dave and Penny inside the theatre and it was a good evening out. I managed to take a photo of the theatre in the rain before we went in.